Inspired to work in food and beverage service industry? Hotel Management and Tourism is a flamboyant industry with a robust variety of professional opportunities.Thinking of taking up studies at the university institute of Hotel Management and Catering technology in Punjab? Take an insight into what it's like in hotel management and catering technology while designing a food menu. Hotel Management and Tourism a booming career choice. One can gratefully feel assisted by tracking the latest gourmet and beverage trends while shaping strategy for a new food enterprise. The uncertain path to being an accomplished restaurant manager or hotelier can assort itself from creating a sprawling environment of new ideas to clubbing existing disjoint food trends synchronously into a project that executes itself with magnificence penned inside the mind of strategist. Food and beverage service has a variety of aspects that need consideration before you can lick your fingers to a mouth watering platter that has been gracefully served to you in an environment that has been designed to make you fall in love with itself. So are you interest in the hotel management and catering industry? It leaves us to ask you this very important question! Do you see yourself as the chief individual laying down the foundation stone of a successful gourmet brand? If yes... you might want to consider the basics! Today, we see a mounting inclination in people to eat outside whether it is fine dine, fast food or enjoying at a restaurant bar. The menu is a complement to the surrounding environment. With limited choice and fixed number of courses, this menu has a fixed selling price for all dishes combined and is ready to serve in a set amount of time. This menu offers an extensive choice of items with each dish being priced separately. Some item may take longer times to serve. 3. A menu can also be combined with a mix of dishes served at a fixed price while other priced individually. The chef may give the guests the opportunity to taste a sample of the meal. 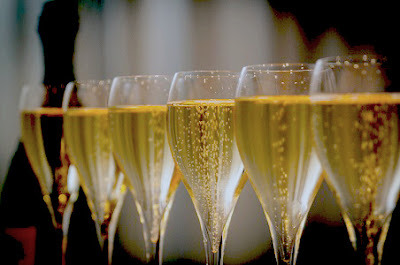 This menu may also be accompanied with selection of wines. A trolley and kiosk is an important must have. A menu has to map the requirement of the audience that you will be serving. The choice to eat any food is a relation between health and eating and can be influenced culturally, religiously and ethically or medically, in case of allergies. You may not want to forget that people are vegetarian and that the menu item may have seasonal items or ingredients that may not be readily available locally. B.Sc. 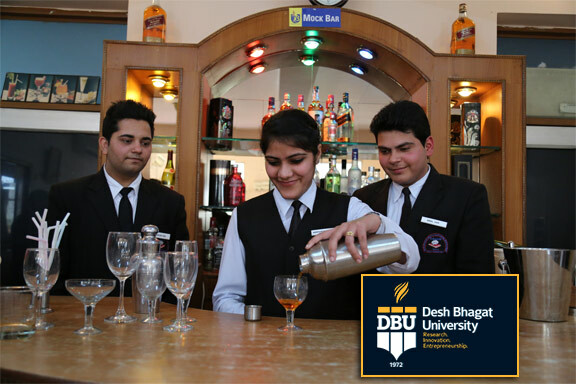 Hotel Management and Catering Technology at Desh Bhagat University (DBU) is designed for students who aspire to take leadership roles in food and beverage management. The course entails a thorough description of operations, staff management, resource administration, cost control, food menu design, storage, merchandising, wine, spirit list development, table and specialized services. The university offers a rigorous curriculum with numerous opportunities to take on mini enterprise project during conferences and fests.